We all know having a strong bond with our mother is a natural thing, but expressing it can be difficult. 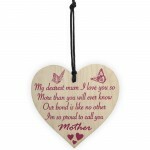 This beautiful poem uses words that can be hard to say, makes a wonderful Mothers Day Gift or any time for your dear mum. 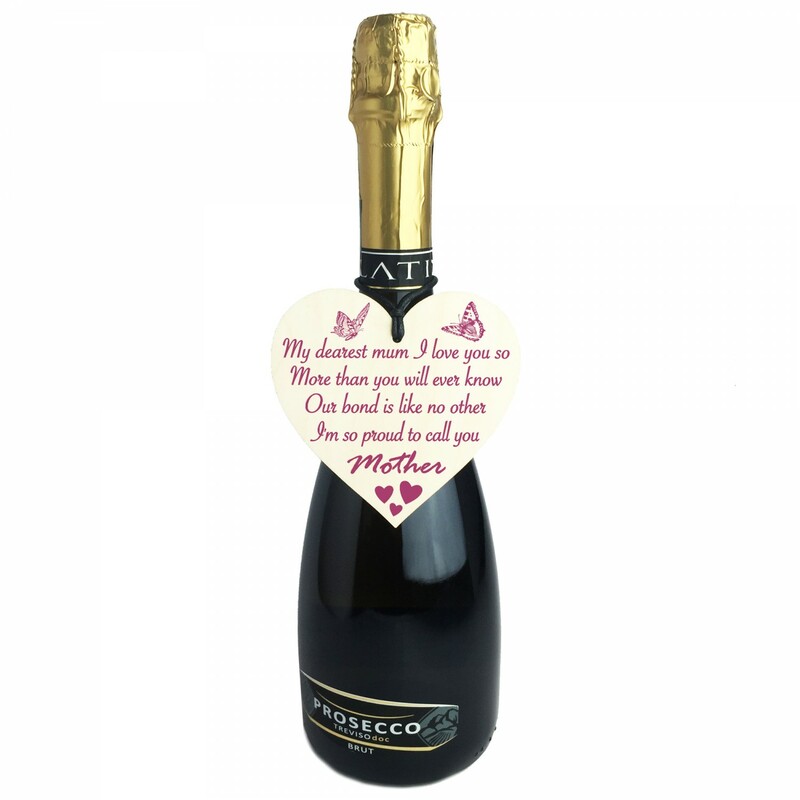 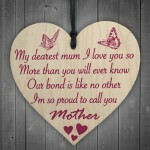 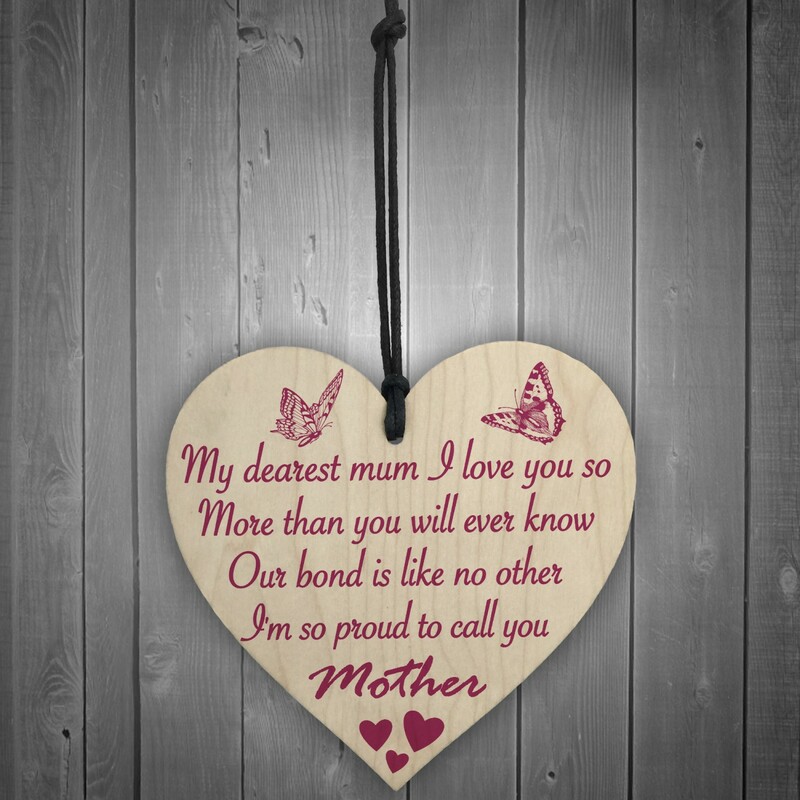 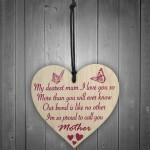 A gorgeous wooden heart plaque printed with a beautiful message that is suited for the very dearest mum. 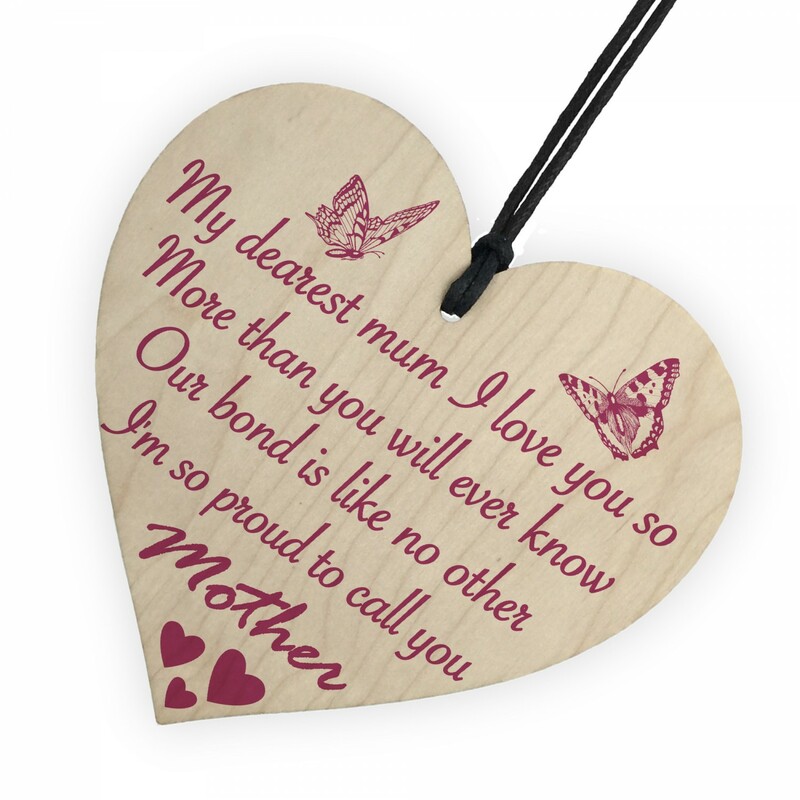 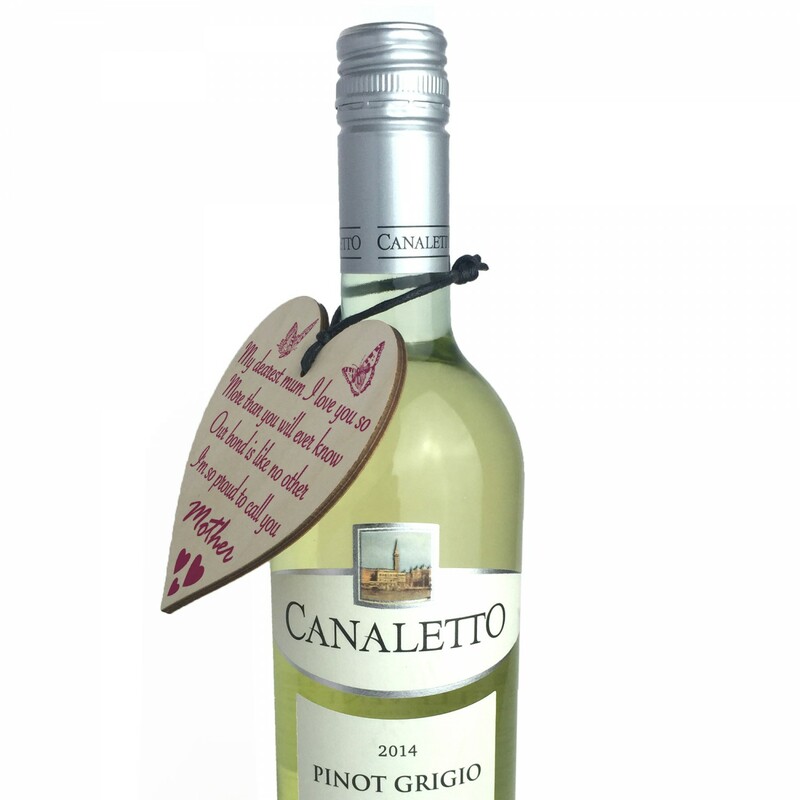 Give this gift with love and put a smile on your mum's face every time she reads it.